KUALA LUMPUR : The government has been urged to consider recommendations made by the Royal Commission of Inquiry (RCI), especially those which involve the welfare and wellbeing of police personnel, when it tables the Independent Police Complaints and Misconduct Commission (IPCMC) Bill in Parliament. 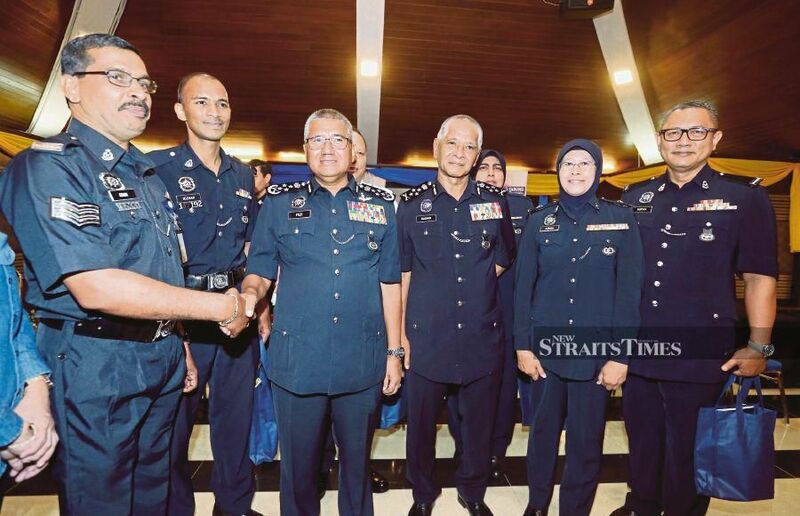 Inspector General of Police Tan Sri Fuzi Harun said the welfare issue was among 125 recommendations given by the RCI in 2005 to improve the police force. "This issue remains a great concern in the force, especially those involving lower rank officers," he said. Fuzi said the police had registered its concern on the issue with the government in the past, both verbally, as well as in writing. The IPCMC, when set up, will replace the Enforcement Agency Integrity Commission (EAIC) to act as an independent body to look into complaints within the force. Initially, the idea of an IPCMC was mooted 13 years ago by the RCI, following a spate of deaths in police custody. Among the 125 recommendations made by the RCI was for an IPCMC to be set up, to allow independent investigations related to police misconduct, and to take the necessary action. The Commission is also one of the pledges in the Pakatan Harapan manifesto in the 14th General Election, as the EAIC had limited powers to take action. Fuzi also welcomed the proposal to repeal and amend more than 100 laws, including the Sedition Act 1948 and Security Offences (Special Measures) Act 2012. He said the government had engaged the police in a detailed discussion six months ago regarding laws to be abolished and amended, including feedback and insights from experts and ordinary personnel in the force, both high and lower ranks, police associations and retirees. "We have pointed out our concern through the task force discussion. The team detailed what we agreed and disagreed, and how an action or law could possibly affect the legal system during the discussion. It's now up to Parliament," he said. Fuzi believes the government would weigh their recommendations carefully before making any decision on some of the proposals. The proposal to repeal and amend laws in the country includes laws such as those which restricts freedom of speech, one's rights, and the abolishment of the mandatory death penalty in the country. "The task force has engaged with every level in the department, including former servicemen, in coming up with our input and recommendations for the laws to be reviewed," Fuzi said, after the Annual Police Excellent Service Awards 2018 ceremony at Bukit Aman today.